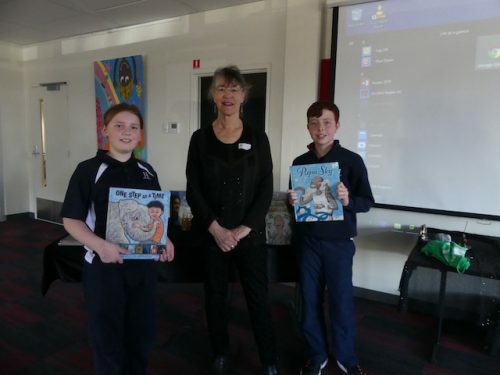 Visited The Heights School today with Sally Heinrich for author talks with Yr 4-6 classes. 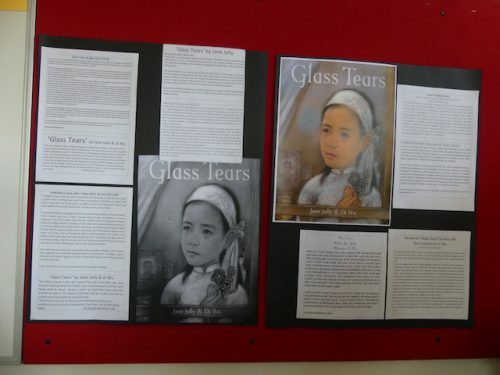 Have never been to the school before. It is huge! 1200 students apparently, which is the same size as Henley High was when I started there in 1969! Sally and I were running separate sessions, and with the classes I had we were able to have a closer look at Tea and Sugar Christmas, One Step at a Time, Radio Rescue! 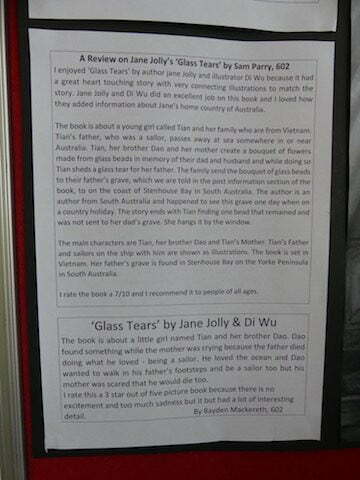 and of course I began each session with a reading of The Man with Small Hair, which was officially launched on Sunday. 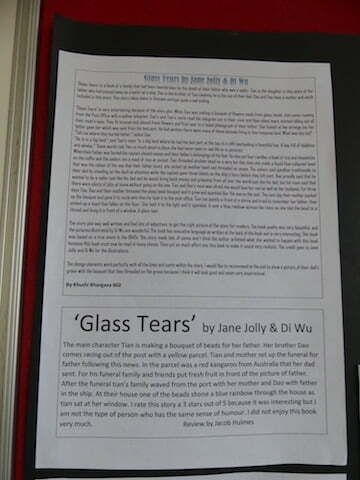 I saw some interesting student reviews of Glass Tears on the wall so took the liberty of photographing them. Had some lovely Yr 12 girls, who only have 2 more weeks of school, carry my bags back out to the car at the end of the day. Next Post »It’s Launched! “The Man with Small Hair” is out in the world.